First impressions do matter. Our impressions of someone determine whether a person is approachable or a threat. At America House, you can meet many interesting people and it might be a little intimidating when starting out. 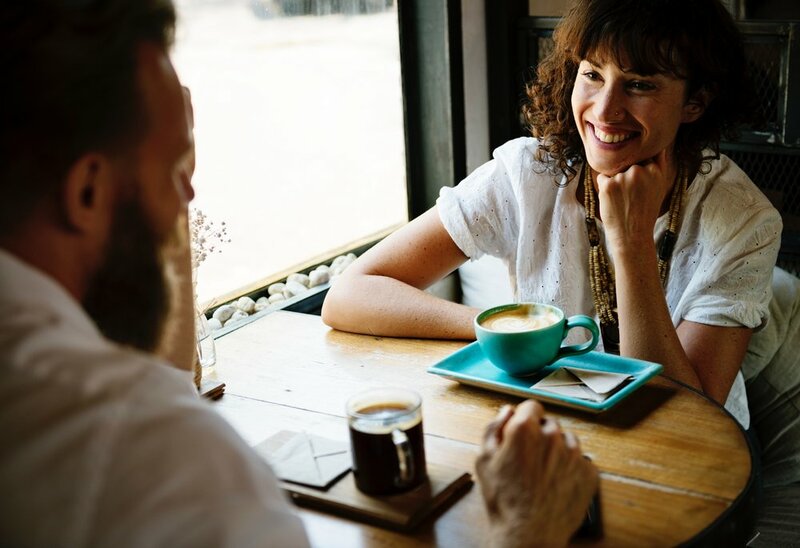 Here are a few helpful tips to be mindful of when meeting someone new for the first time to make a lasting impression. The first impression we make of a person is always visual. Like it or not, we make assumptions about a person’s character based on the clothes they are wearing before they even introduce themselves. For example, if someone is wearing ill-fitting clothes or is covered in stains you can make the assumption that they don’t put effort into their outfit. It is a good idea to look presentable, because it could make or break someone’s first impression of you. To look more put together, choose to wear fitted clothes. These are clothes that are not too tight or too loose and are flattering on the body. If a piece of clothing does not fit, go get it tailored. Also, wear clothes that are appropriate for the occasion. If it is a business meeting, dress in business professional. If at a barbeque, wear casual clothing. When you don’t dress appropriately for the occasion to others you look out of place, which isn’t good if your goal is to impress. To look like you’ve put more effort into an outfit it is a good idea to accessorize. Adding a jewelry, a watch or a scarf to an outfit elevates your look. These small details also give the impression that you put more thought into your outfit. Let me tell you a secret, everyone loves hearing their name! A person’s name is what sets them apart from everyone else. It is their identity. Learning someone else’s name shows that you pay attention to detail. People will notice and you will reap good rewards. What better way to make a good impression and earn some cool points than to deliberately learn someone else’s name. Next time you go out, I challenge you to use the name of whomever is serving you (it can be a waiter, bartender, etc.). Ask for their name before they serve you. Every time they come to your table always thank them and address them with their name. They will likely give you better service and you might even score some free desert, on the house. Repeat, repeat and repeat. During your conversation, use the person’s name more than once. This reminds you of the person’s name and it also helps you remember it for the future. Eye contact is a visual cue that shows where your attention is directed toward and how engaged you are. If you are looking up and to the side, it projects that you are uninterested or bored in the conversation. It is a good idea to keep constant eye contact with the person you are talking to. Looking at a person’s face too long without looking away or blinking may make them uncomfortable, because it can be read as intimidating. Have you ever seen an MMA (Mixed Martial Arts championship) stare down? Before a match, opponents stare into each other’s eyes as a form of intimidation. This is meant to scare the other opponent and show aggression towards them. If you are intimidated about looking directly in someone’s eyes, look at the center of their forehead (the space between their eyebrows) while speaking to them. To that person it will look as if you are actually looking at their eyes. Listening to others is an extremely important skill to have. Unfortunately, listening does not come easy to many. Actively listening to someone means that you are engaged and are responsive to what is being said. To show that you are listening, nod occasionally throughout the conversation. This is a visual cue that shows the speaker that you acknowledge what they are saying. Also, speak back verbal agreements, like “uh huh” and “that’s interesting”, so that it shows you agree with what is being said. Don’t think about what to say while someone else is speaking. Usually, you are too focused on what you want to say that you forget to listen to what the person in front of you is saying. When they’ve finished speaking, it gives you time to think about what they’ve said and for you to formulate an idea. For conversations to continue, it’s important to have things to talk about. You don’t want to find yourself in an awkward situation where you don’t have anything else to say. Find things that both interest you. Follow up a “what” question (like “what’s your favorite hobby?” or “what kind of music do you like?”) with a “why” question. This continues the conversation, but also gives you a sense of the person’s character. Don’t talk about something that you absolutely love and know everything about. If you do this, you’ll probably end up talking the entire time without letting the other person speak. Talk about something that you don’t know much about. Maybe the person you’re talking to know a lot about that topic and might just learn something new. Don’t use your phone. When you’re having a conversation with someone, don’t pull out your phone from your pocket or bag. Studies show that just by doing that you ruin the conversation, it’s called the iPhone effect. Having your phone out shows whomever you are speaking to that your attention is elsewhere. People can think that is rude and you wouldn’t make a good impression on them. So, try to leave your phone off as much as possible, because it will limit your ability to have a meaningful conversation with someone. If you follow these helpful tips, you will definitely make a good impression! Get started by coming to America House and introducing yourself to someone new! Impression – what someone believes or thinks about you. Ill-fitting – does not fit properly. “Make or break” - a factor that decides whether a situation will be good or bad. “Reap good rewards” - get good things as a result of your actions. Deliberate – done on purpose. Address – speak directly to someone. “On the house” - free of charge, do not have to pay. Intimidation – to scare someone.